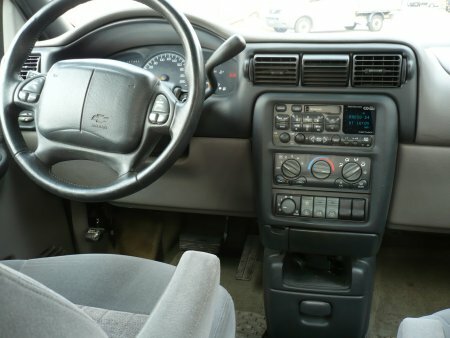 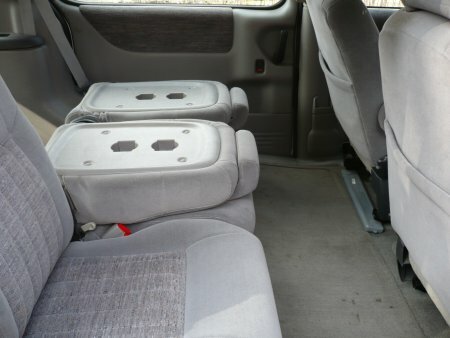 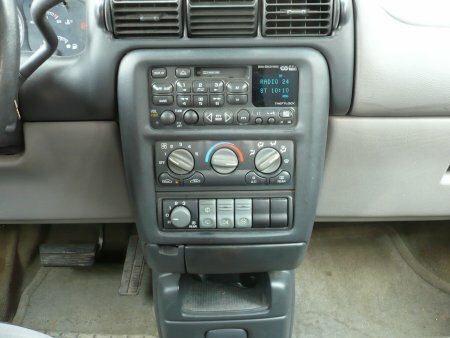 This Minivan has a 3,4 Liter V 6 engine and 4 speed automatic transmission. 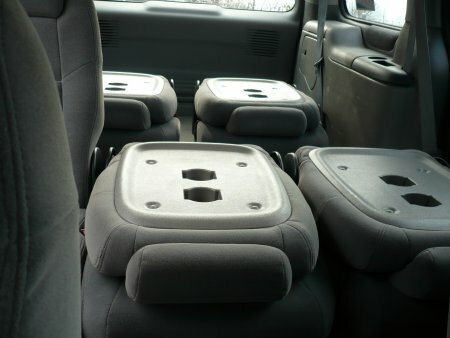 It has 5 single seats in the second and third row which are light weight and easy to remove for hauling cargo. 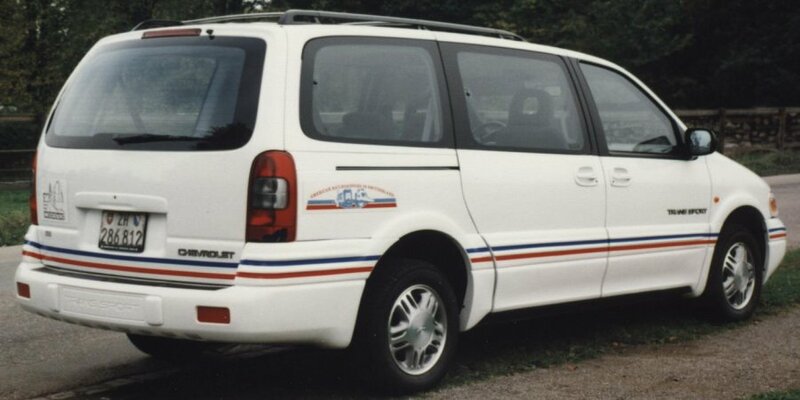 The right sliding door was electric powered. 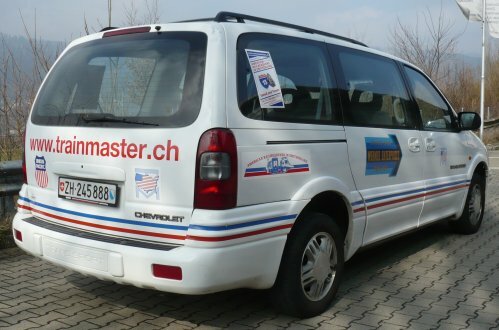 This Chevy did replace my 1993 Chrysler Grand Voyager. 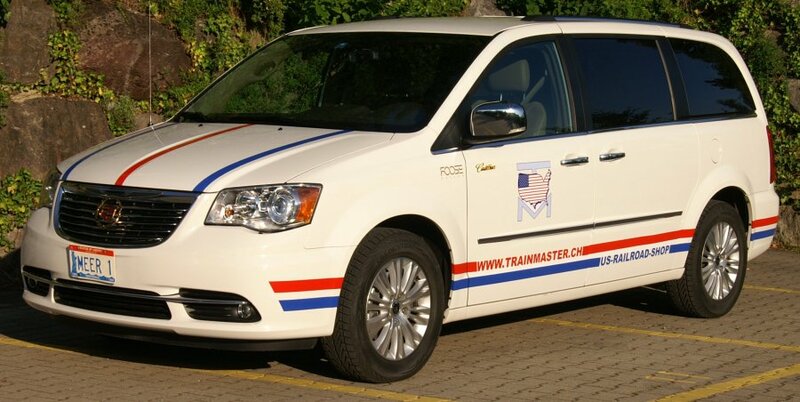 The first 2 photos (scanned of old prints) show the Minivan just after I applied the red and blue stripes and American Railroadfans Logo. 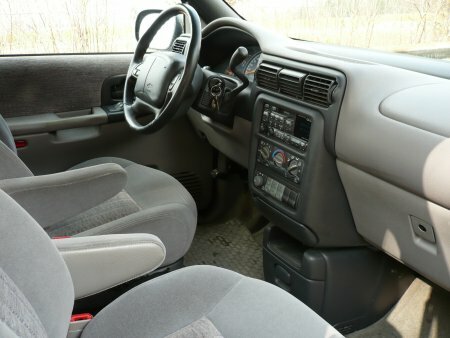 See better and more accurate photos below. 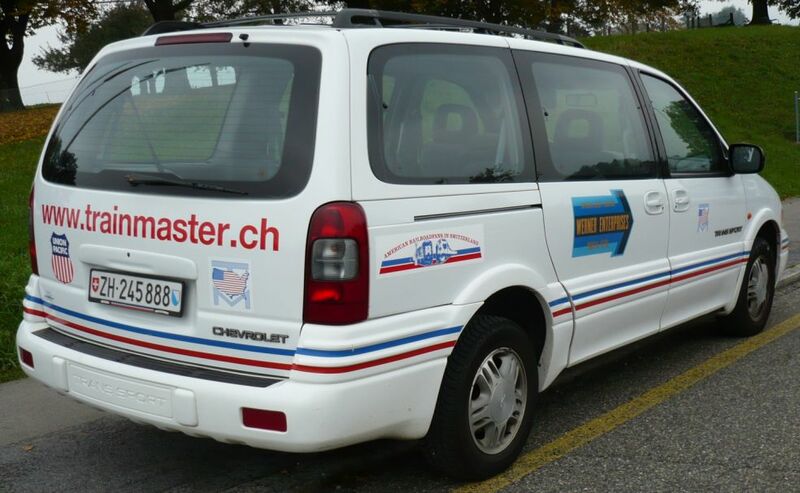 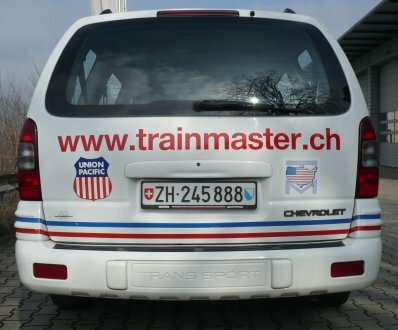 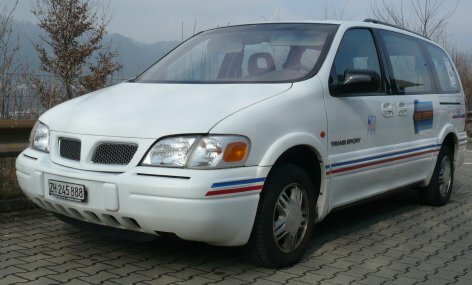 The first Van in Switzerland with Werner Enterprises markings. 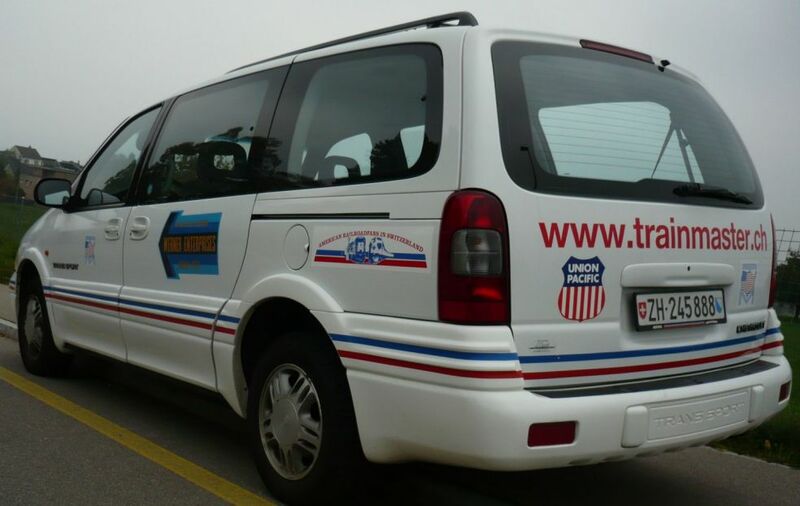 We are proud to display the official WE Logo on our van (with permission). 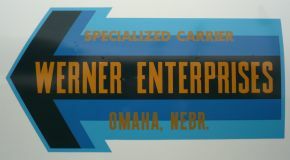 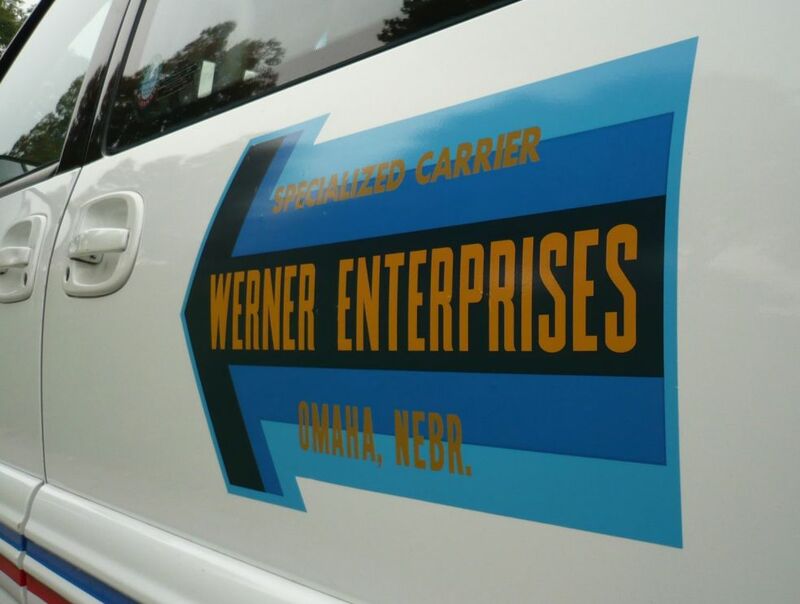 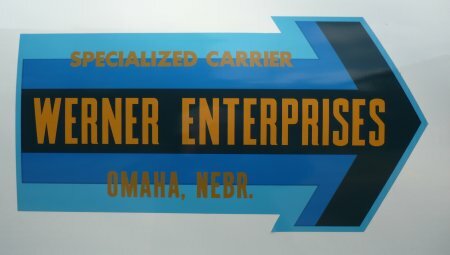 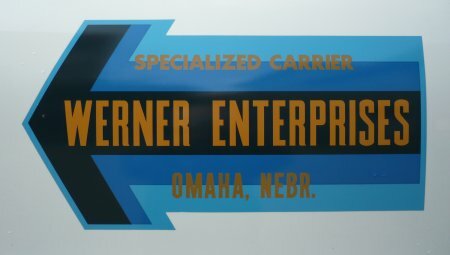 In October 2010, I mounted the Werner Enterprises stickers on my Minivan. Just click on the WE number to see bigger size photos. 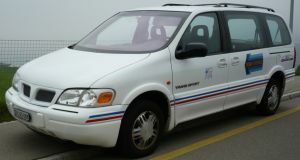 I purchased this Minivan as a new car from Garage Dutli back in 1997. 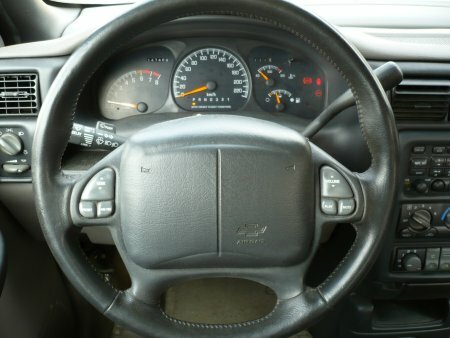 It was always running well and did never ever break down within these 16 years. 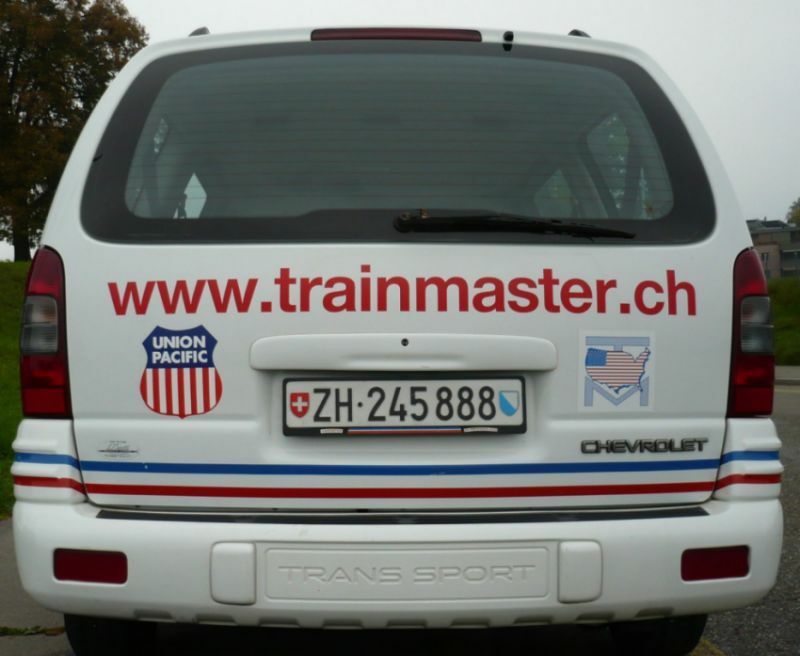 It looks still good but there would be too much to invest to pass the strict rules of the Swiss DMV control. 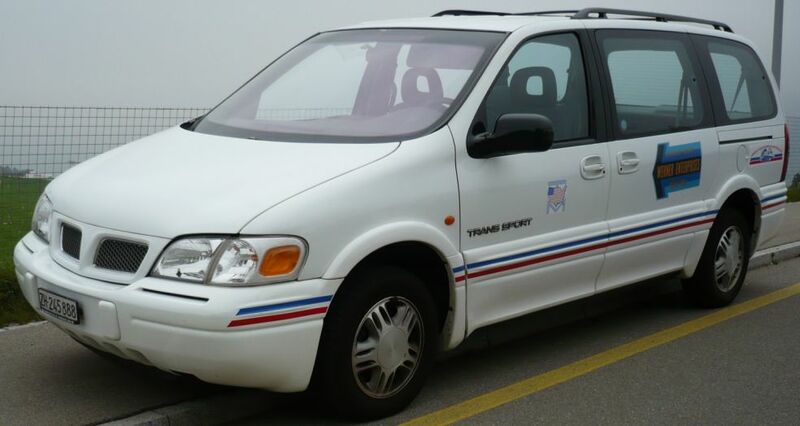 Therefore, I have to say good bye to my Minivan. 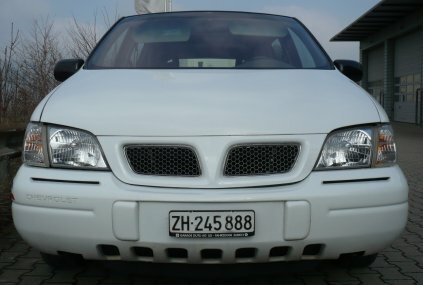 In the meantime, the senior boss of the garage fixed several things and is using it as his personal vehicle (of course without all decals). 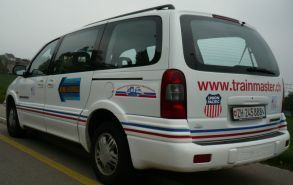 This 2012 Cadillac Minivan based on a Chrysler Town & Country did replace my 1997 Chevy Trans Sport.